Cost of living is the cost of maintaining a specified standard of living, similar to a typical household budget. A Cost of living index is a numerical way of comparing cost of living, either over time, or by comparing different geographical locations. When you relocate to another geographic location, the cost of everything you spend your salary on will either cost more or less. Some of the costs may be higher in the new location and some of the costs may be lower. The difference in cost of living is typically reported as a “cost of living index. 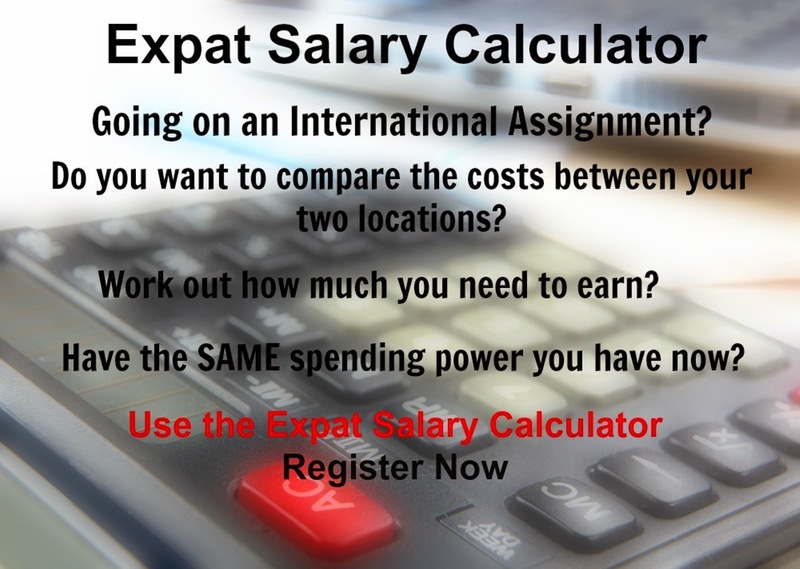 By selecting the appropriate costs that you will have to pay from your salary, you can use a tool such aswww.xpatulator.com to calculate the cost of living difference between 2 locations. Xpatulator uses 13 basket groups, the result of extensive research of actual spending habits, to reflect a reality-based international expenditure pattern. The basket groups are weighted according to Expatriate expenditure norms. When comparing the cost of living between 2 locations the difference in the aggregate cost of all the selected basket groups are examined in each location using the average reported price in each location for the same quantity of each item. Cost of living is the relative differential in the local cost of the basket groups and the ruling exchange rate between the 2 selected locations. When comparing the cost of living between different locations the objective is to calculate the difference in the cost of living expressed as an index (e.g. dividing the cost of living in Location A by the cost of living in Location B may result in an index of 140). The cost of living index indicates the difference in the cost of living between the 2 locations. In the above example the index of 140 means that Location A is 40% more expensive than Location B. This would mean that a person who moves from Location B to Location A would need to earn 40% more, to have the same standard of living in Location A as they have currently.